How Important Is Eliquis For Bristol-Myers Squibb? Bristol-Myers Squibb’s (NYSE:BMY) cardiovascular segment, which primarily consists of Eliquis, accounts for over 15% of the company’s value, according to our estimates. The company derives most of its value from oncology drugs, which we believe will also be the key growth drivers in the coming years. Looking at the cardiovascular business, we expect Eliquis to perform well over the next few years and its sales to peak at $4.5 billion in 2021 for Bristol-Myers Squibb. However, as the drug nears its patent expiry in 2023, the sales are likely to decline. Eliquis was initially approved for both the treatment of venous thromboembolic events (VTE) and the prevention of heart attacks in patients with an irregular heartbeat that is not caused by a heart valve problem, called non-valvular atrial fibrillation (NVAF). At the end of August 2014, the U.S. FDA approved the drug for the treatment of Deep Vein Thrombosis (DVT) and pulmonary embolism. As a result, Eliquis sales gained momentum and jumped from $146 million in 2013 to $3.3 billion in 2016. Looking at the first half of 2017, Eliquis generated sales of $2.3 billion, reflecting growth of 47% over the prior year period. 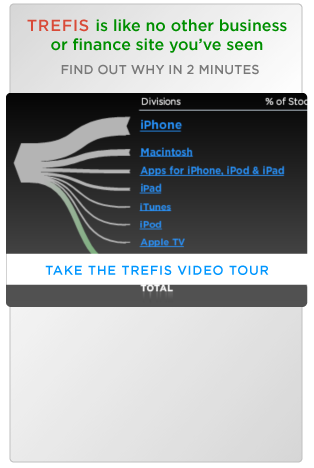 This can be attributed to higher demand given its increased acceptance and market share gains. Eliquis has become a leading anticoagulant in new-to-brand prescriptions among cardiologists in the U.S., gaining strong traction among physicians for atrial fibrillation. 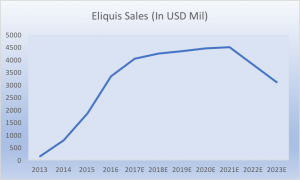 Eliquis’ success story is worth noting, considering that the drug has broken into a crowded and competitive therapeutic area of cardiovascular diseases. It was co-developed by Bristol-Myers Squibb and Pfizer, and the partnership with Pfizer gives it a strong global reach. The drug is considered safer than warfarin and in terms of total prescriptions in its class, Eliquis has outperformed Johnson and Johnson’s (NYSE:JNJ) Xarelto. 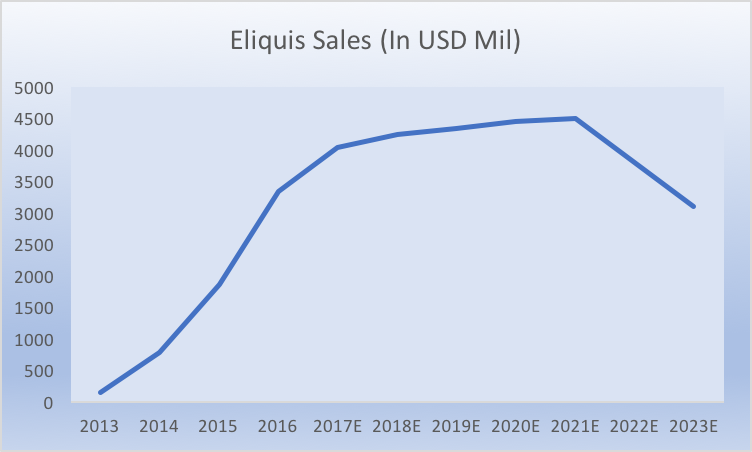 The chart below shows the historical and projected revenue trajectory for Eliquis. It should be noted that there are certain risks to our estimates. The competition from other innovative drugs could weigh on its sales. Johnson and Johnson’s Xarelto is also a popular drug in the cardiovascular segment, and it generated sales of over $2.2 billion in 2016. Besides, there is not much pricing power left when it comes to cardio-vascular drugs. Overall, we believe that Bristol-Myers Squibb’s oncology drugs will be the company’s key growth driver in the coming years (see – Opdivo In Focus After BMY’s Checkmate-214 Study Being Stopped Early), while Eliquis will likely aid growth until 2021, after which we expect a downward trend in revenues as it heads towards patent expiry in 2023. Our current price estimate for Bristol-Myers Squibb stands at $52, implying a discount of around 20% to the current market price.